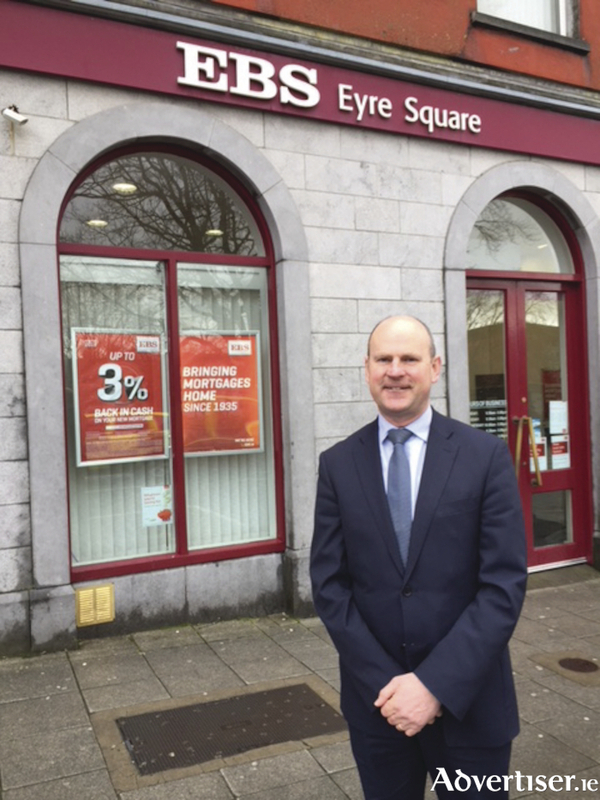 Michael Murray, Business Development Manager outside the EBS Office Eyre Square, Galway. Buying your first home in Ireland can seem like a mountain to climb. Just reading the Irish news would be enough to put off even the most determined of Irish buyers. But while it has been an emotional ride for many, things haven’t been all doom and gloom. In fact, 2017 saw some pretty positive trends – with first time buyers driving the biggest jump in mortgage approvals Ireland has seen in years. In the first three months of 2017 alone, the number of people approved for a mortgage surged by 62 per cent from the previous year. Potential buyers are getting approved for higher amounts too, due to a growth in the economy and easier access to deposits, (which has been credited to the government’s Help to Buy scheme ). If you’re looking to get a mortgage, you’ll need to know exactly how long it will take you to get approved, and what steps you’ll need to take. The full timeline will depend on each stage of approval and the situation of each buyer. If you’re not ready just yet, no panicking! Our EBS Mortgage Masters have been helping buyers buy homes since 1935 – they know the market, and they know exactly what you’ll need to do depending on your situation. From the first decision to receiving your mortgage approval in full, here is the timeline broken down in 4 steps. Every situation is completely unique, so where the same path might take two months, it could take another 18 months to travel. Read below to get an idea of the full timeframe, and what might delay the process. Speedy tips: Have a quick scan of the kind of properties you want, to get an idea of your price bracket; two-bed or three-bed, garden or terraced? And pick five to seven locations to give yourself a realistic ball park. When it comes to the mortgage chat, bring your latest bank statements so your lender can give you detailed, informed advice (the best kind ). No worries – it’s not the end of the world. It just means you’ll spend an average of three, six, or 12 months reforming your spending habits and saving a set amount (the amount of time will vary depending on your situation ). The good thing is, your lender will tell you exactly how much to squirrel away to prove your future repayment capacity, so you can make the application down the line. Once you’re ready, you can make the initial application for Approval in Principle (which takes a few weeks ). Speedy tips: Many buyers save frugally for months – so are shocked when they’re advised to wait before applying. However, many do not factor in that they need to save a very specific amount (related to their future mortgage repayments ). That’s why it’s a good idea to chat to a lender and find out exactly how much you want to borrow, before you start your saving plan. You and your lender have had a relaxed chat, and it’s good news – your bank account is healthier than you thought, and your savings are in good nick too. It is time to apply for Approval in Principle, which is provisional approval until you have found your own home. You will need to provide documents for final review by a mortgage underwriter, but your lender will cast their eye over the application, just to be sure. This process will usually take one to two weeks, and after that, you’ll receive your ‘Approval in Principle’ letter. This lasts six months, during which you can hunt for your new home. Application accepted? Head on to step five. So, your lender looked at your documents, and you both decided you were ready to make the application. However, this was since declined by the mortgage underwriter – ouch. Your finances may have been in in top order, but perhaps an unseen detail emerged – like a missed repayment on a student loan. On average, you’ll need to wait another six months before making another application. You will need to have gone ‘Sale Agreed’ on a house before you get to this stage, but providing everything goes smoothly with the house valuation and deeds, it shouldn’t take longer than two weeks to get this from your lender. Unlike Approval in Principle, full Mortgage Approval is a written contract, which sets out the final amount you will draw down for your mortgage, exactly how much you’ll repay each month, and your loan term. Cannot wait to get a home of your own? It couldn’t be easier to find out if you are eligible for a mortgage. Simply call into your local EBS office for a chat with one of our expert Mortgage Masters. Get the ball rolling with our First Time Buyer guide.